Why was Tyrannosore-arse Rex so angry? How many cheeks did a Tricerabutt have? Was the Bumheaded idiotasaurus the most stupid bumosaur? When did bumosaurs become exstinkt? 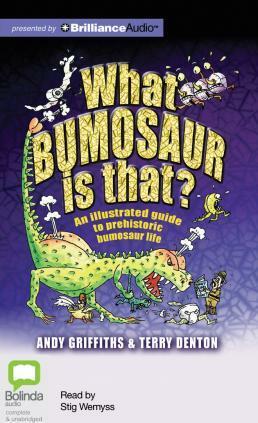 Find the answers to these and many other questions in this guide to prehistoric bumosaur life. Covering pre-Crappian time through to the post-Crapaceous period, this essential reference will thrill, amaze and inform the whole family. Never again will you look like a fool when somebody asks: "What bumosaur is that?"